Today, I had a field class for taking photos at Tadami Town. The class was promoted by Buna (=beech) Center of the town and a photographer Ms. Kajiko Inomata gave us an outdoor lesson near the center. 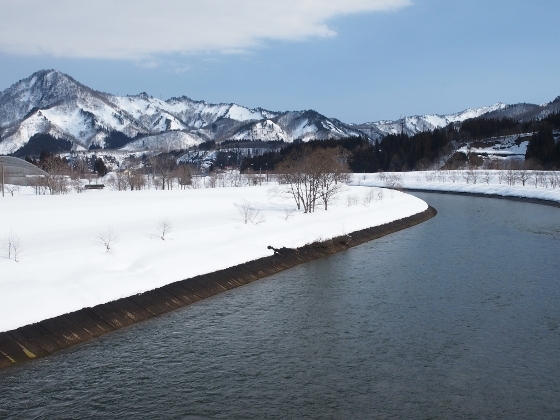 Tadami Town still has a substantial amount of snowfall during early spring of March. Photo above was scenery of Buna Center in the middle with the background of two major mountains nearby: Mount Gamodake (828m) on the left and Mount Shibakura on the right. 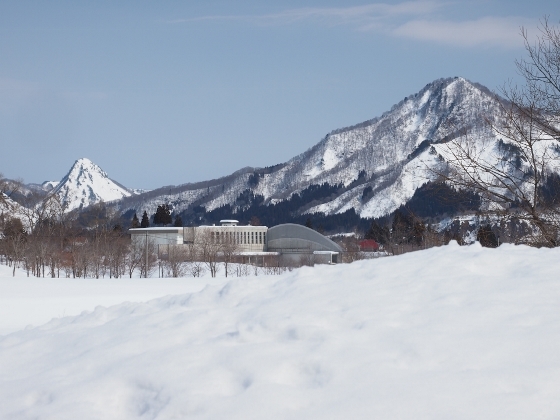 The former one is called the Matterhorn in Aizu because of its towering shape. 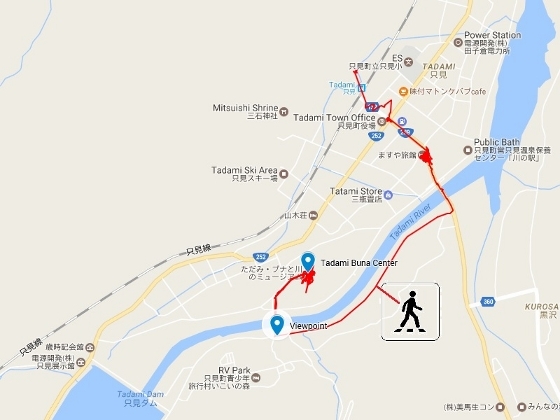 Buna Center is located about 20-minute walk from JR Tadami Sta. Some of other views as of today are shown below. Luckily weather was fine with blue sky during the morning lesson hours. Photo above is a view of the Tadami River which flows through the town with the background of Mount Shibakura on the left. The whole town area is designated as a UNESCO Biosphere Reserve. 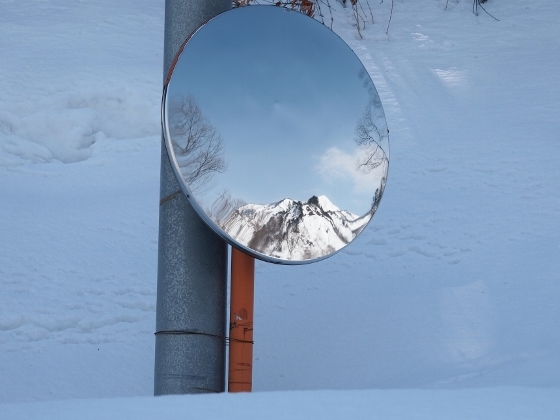 A traffic mirror reflects a clear snow-capped mountain view as shown above. 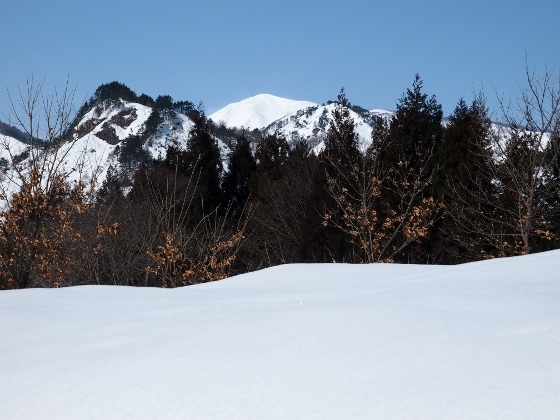 Mount Asakusadake (1585m) stands high in the center with its bright white wall. 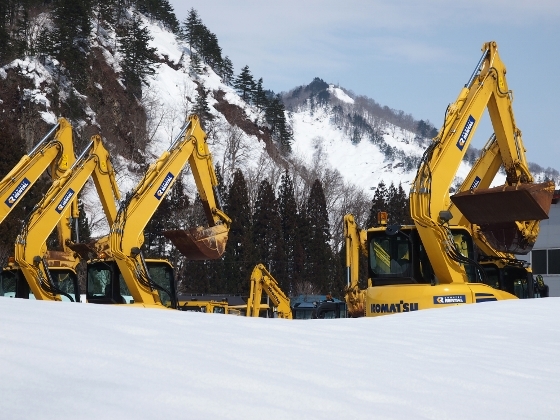 Komatsu heavy machines wait for their chances to go to snow removing work as shown above. 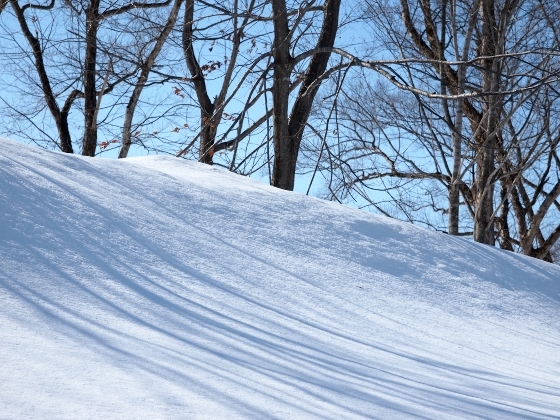 Sunlight makes shadows of trees on a roadside snow slope under a blue sky.